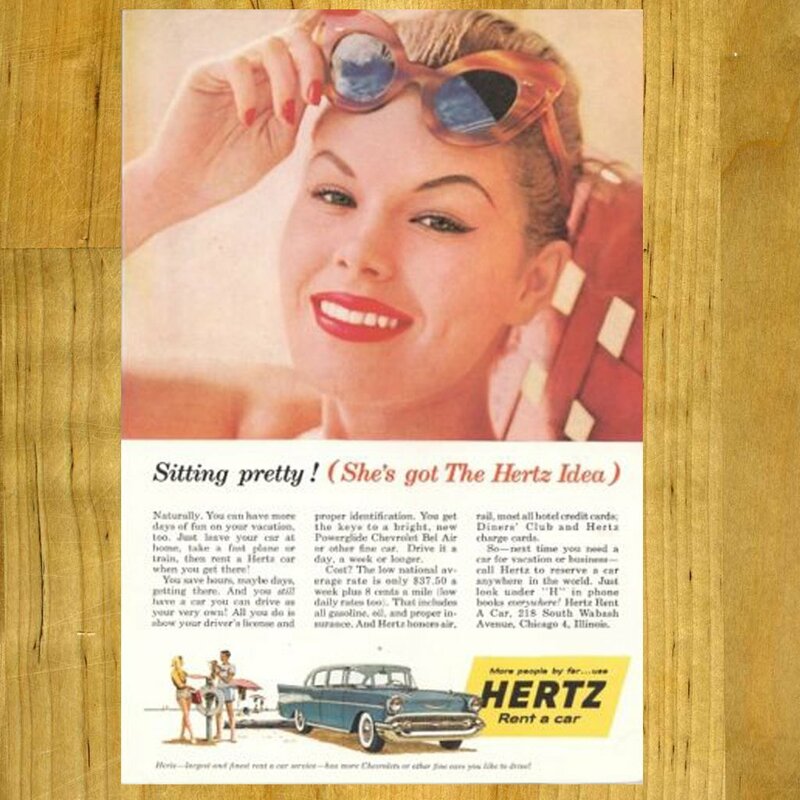 As we take a look at the Hertz Rental Vintage ads with Chevys & Corvettes, we want to take a quick look at the early history. 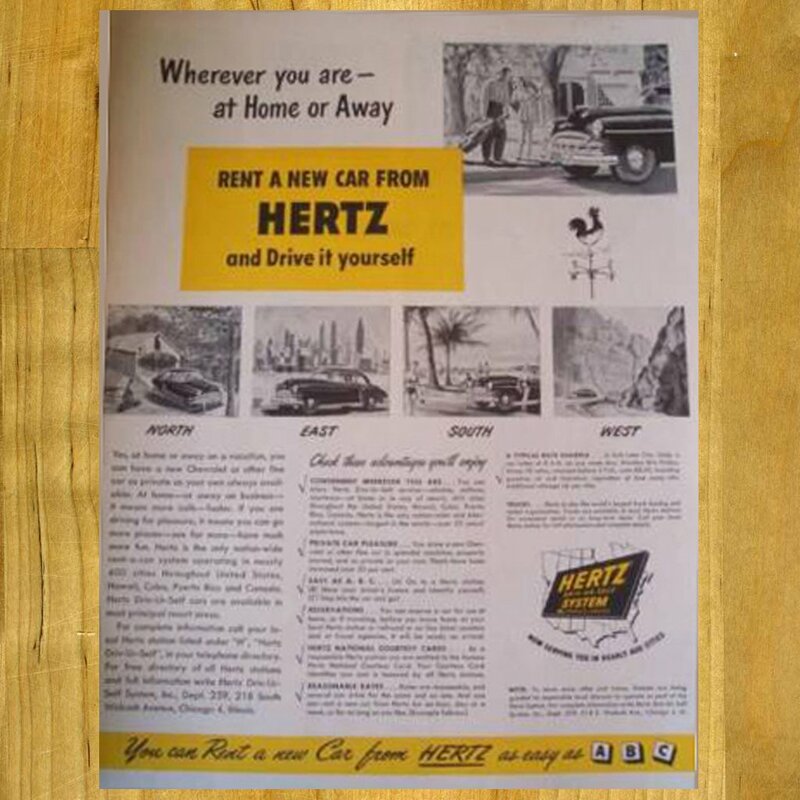 Our Hertz Rental Vintage Ads story started in 1918. 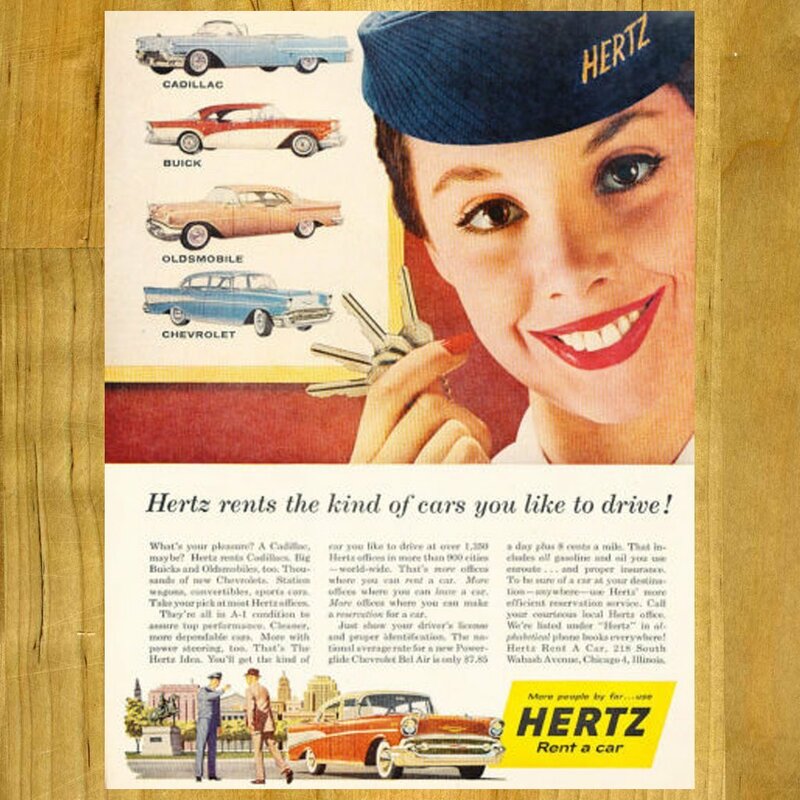 The car rental company began in Chicago with a dozen Model T Ford cars. 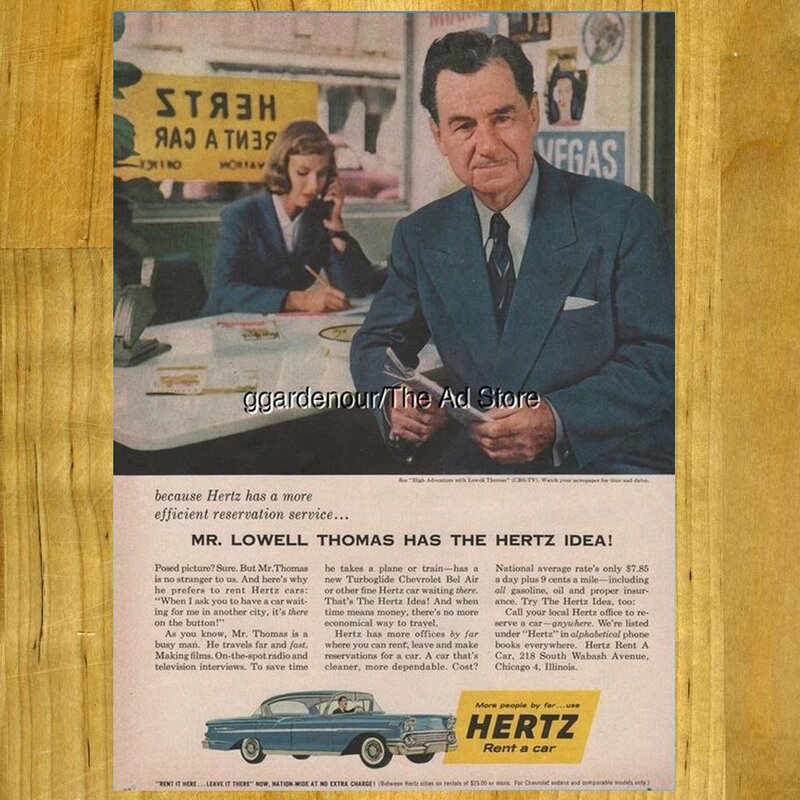 Walter Jacobs, who at the time was only 22 years old, founded the company. 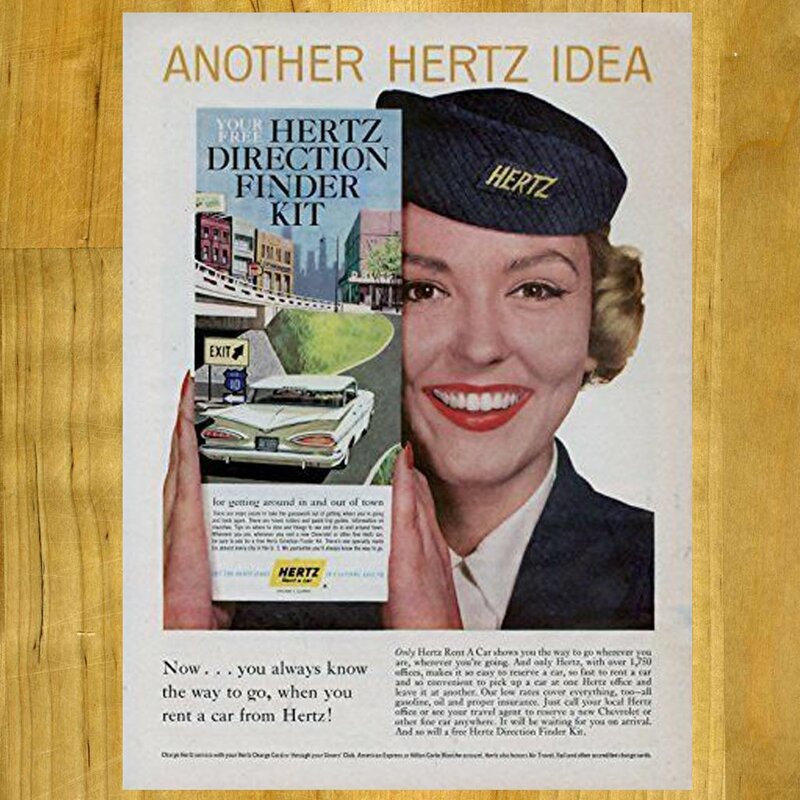 Hertz was a coast-to-coast rental network that catered to the traveler in the United States. 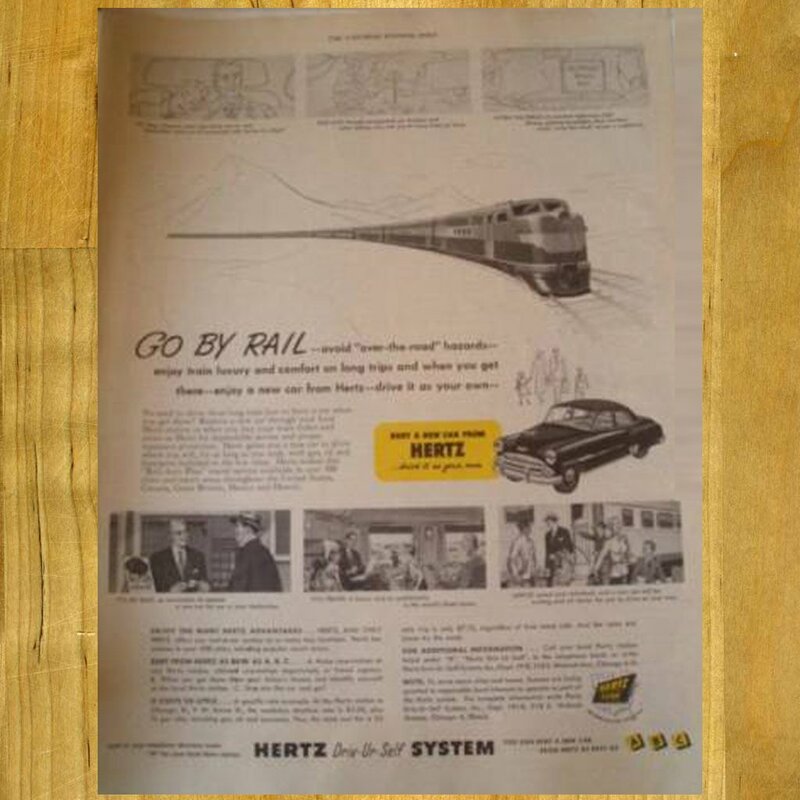 They offered advanced reservation and a program called Rail-Drive. The new program was perfect for the early travelers. 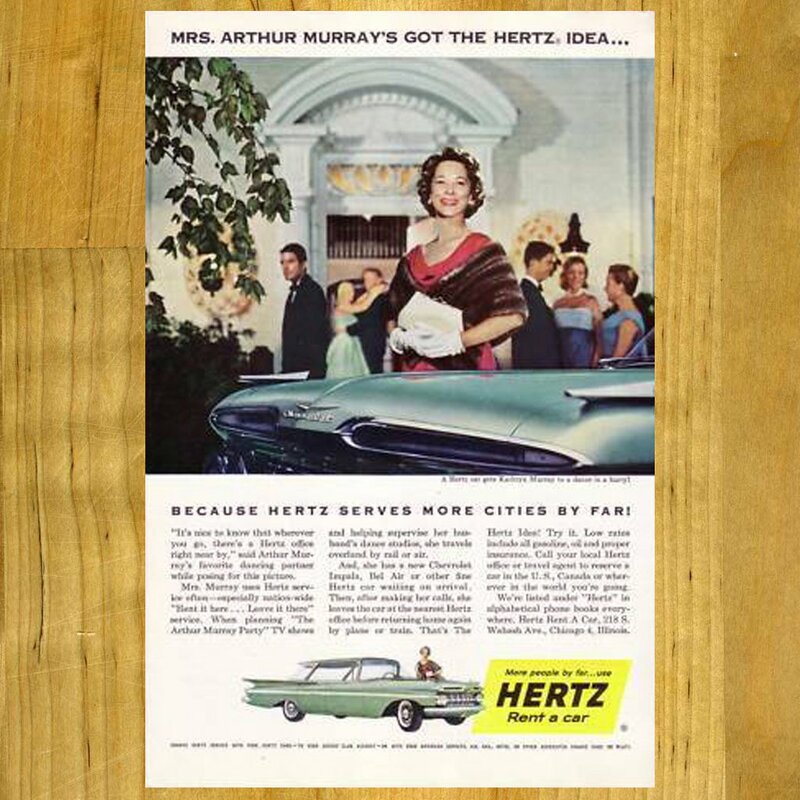 As a result, when they stepped off the train, their rental vehicle was there. 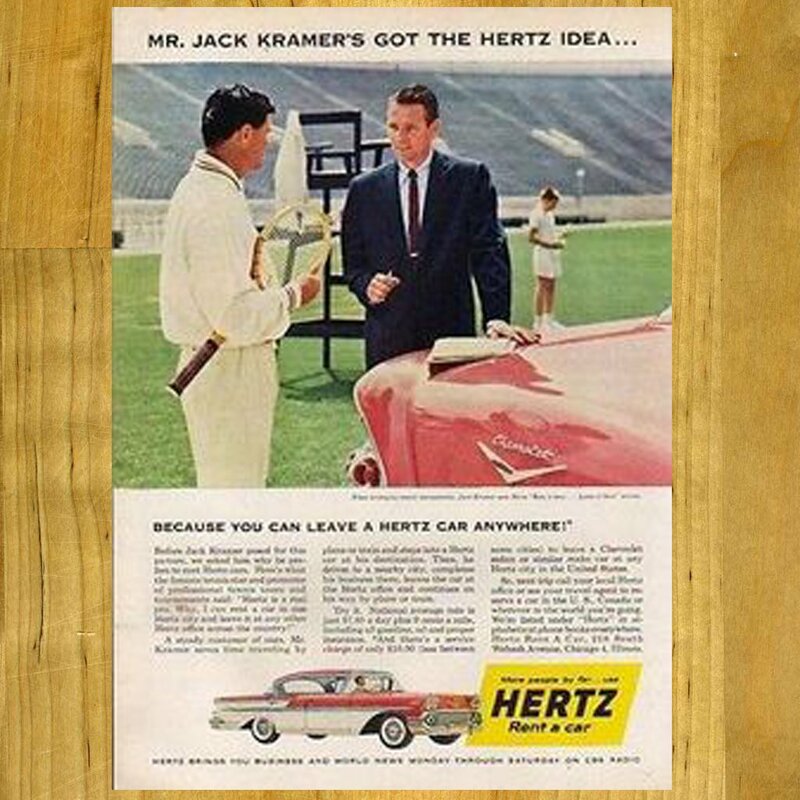 Did you know that General Motors once owned Hertz Renal Car? 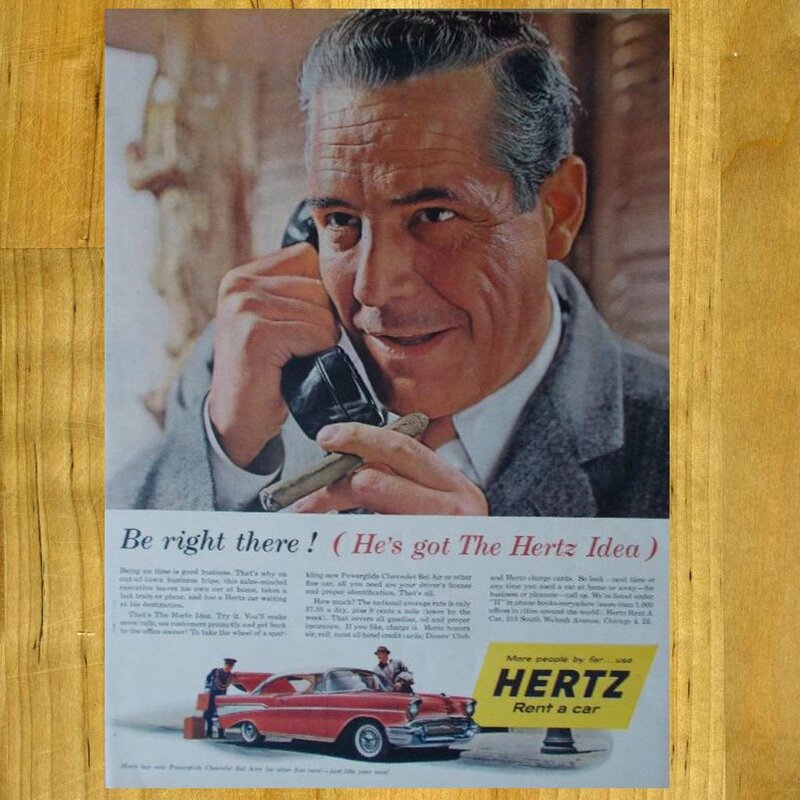 According to Wikipedia, Hertz sold a controlling interest to General Motors in 1925. 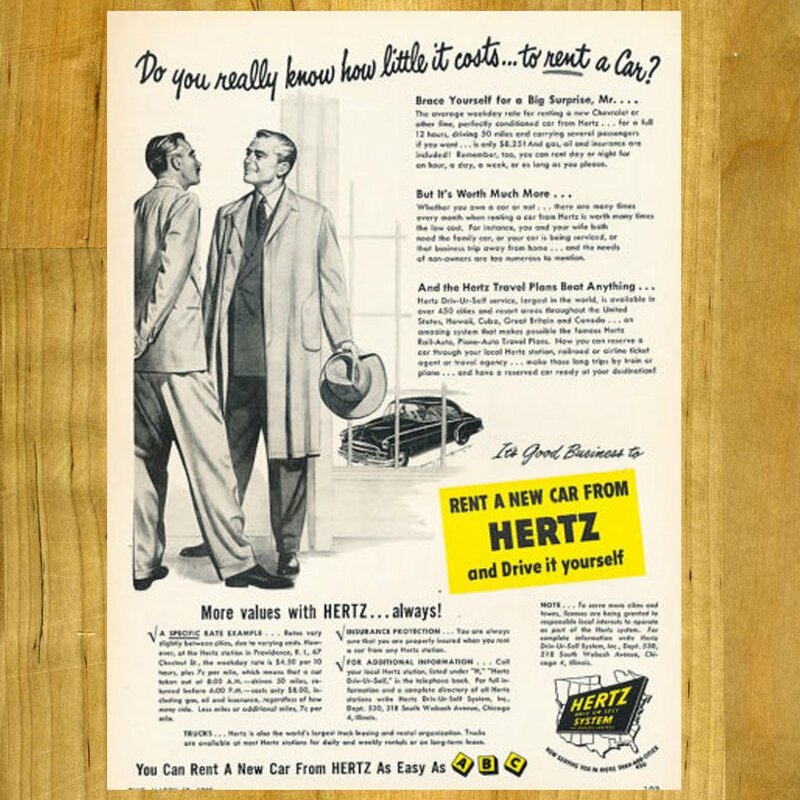 In 1943 GM purchased the remaining shares, but Hertz purchased the car rental business back from GM in 1953. 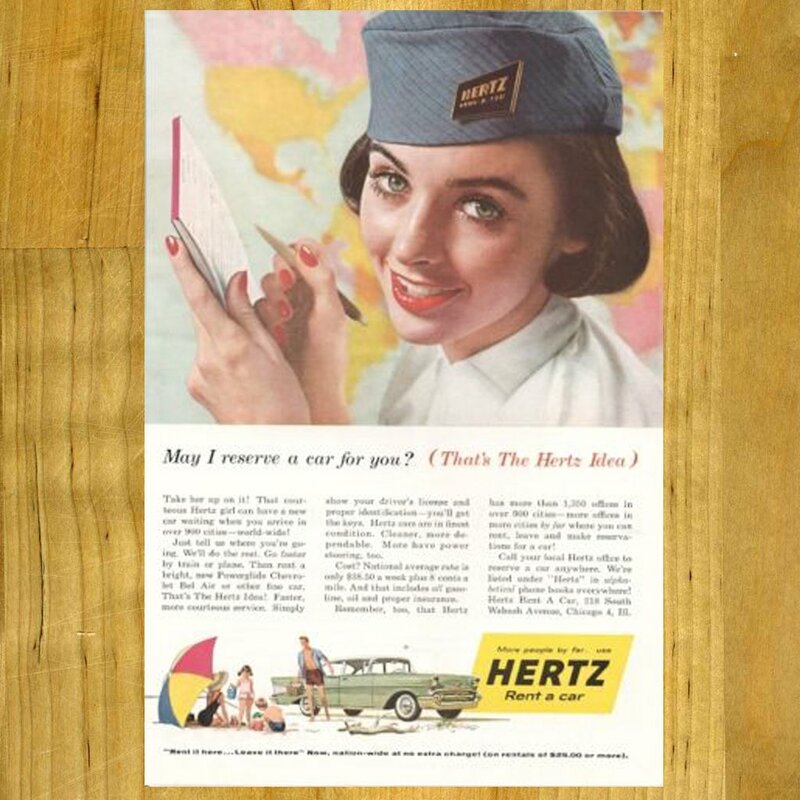 Hertz was the first airport rent-a-car facility. 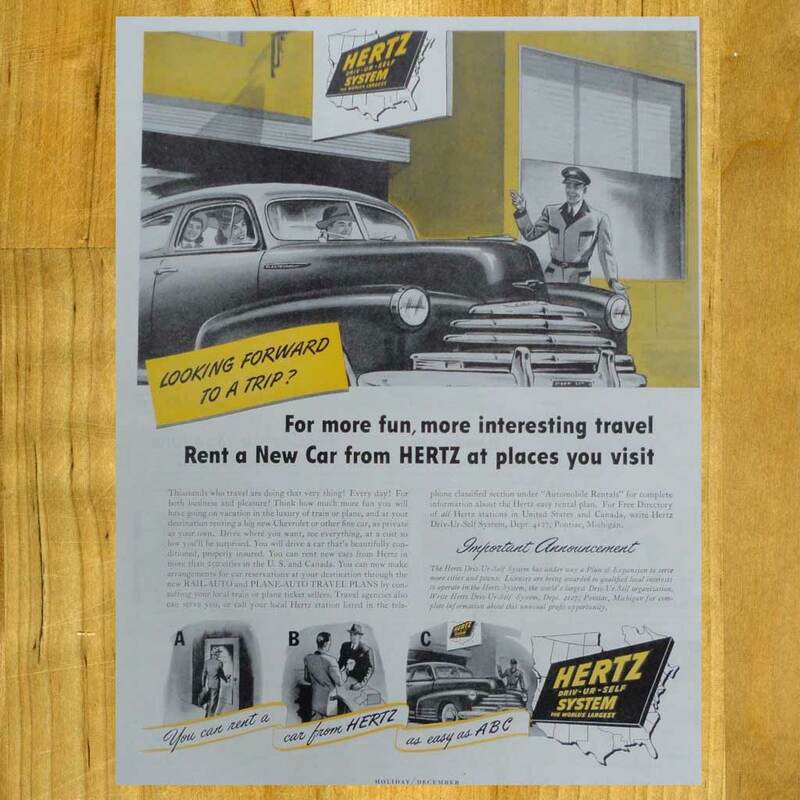 In 1932, they introduced Fly-Drive rental car program which opened at Chicago’s Midway Airport. 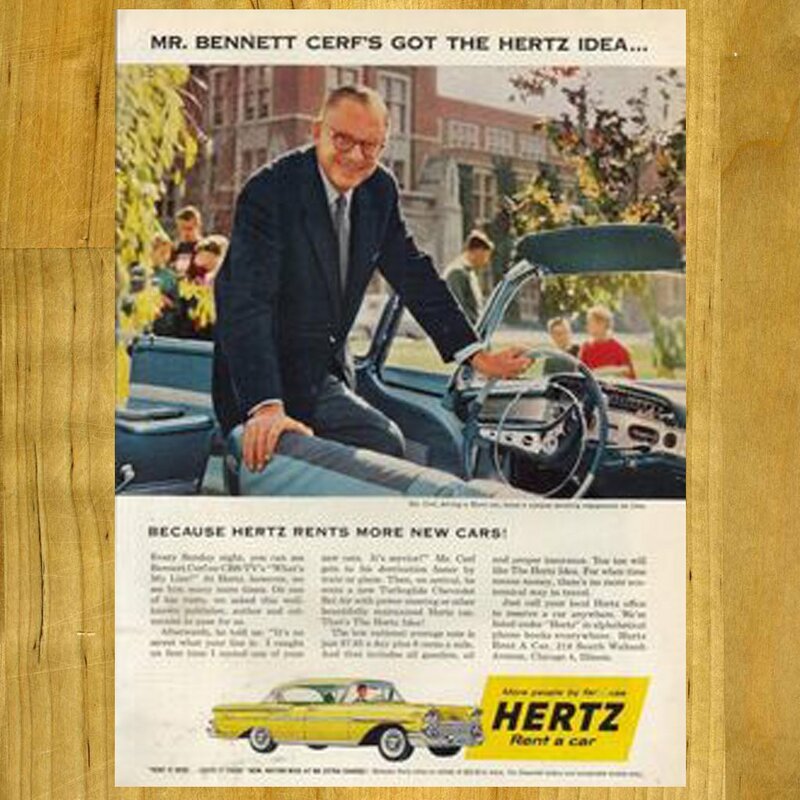 Today Hertz’s fleet consists of many different manufacturers. 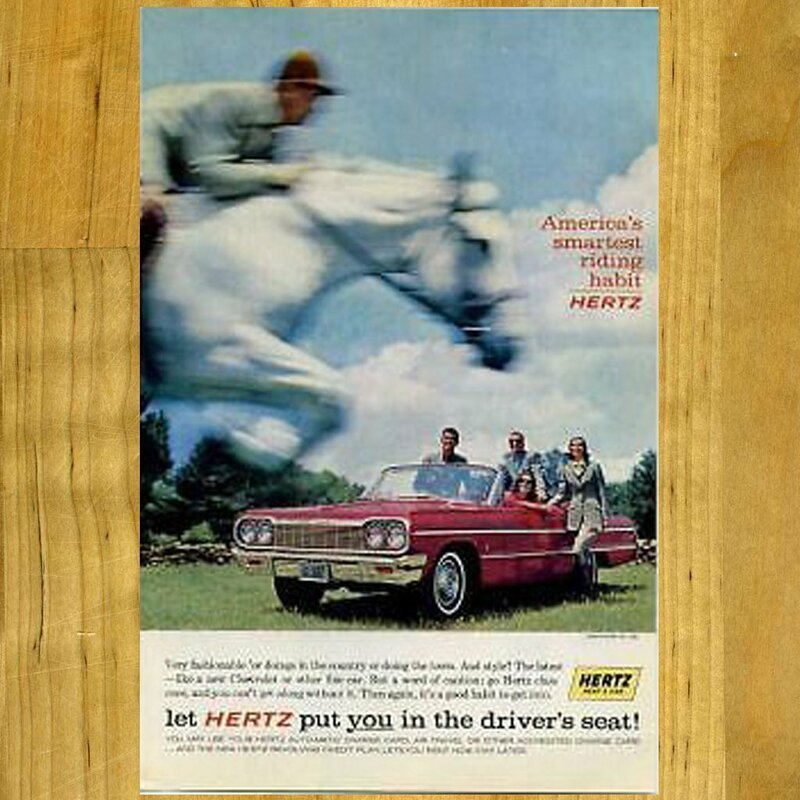 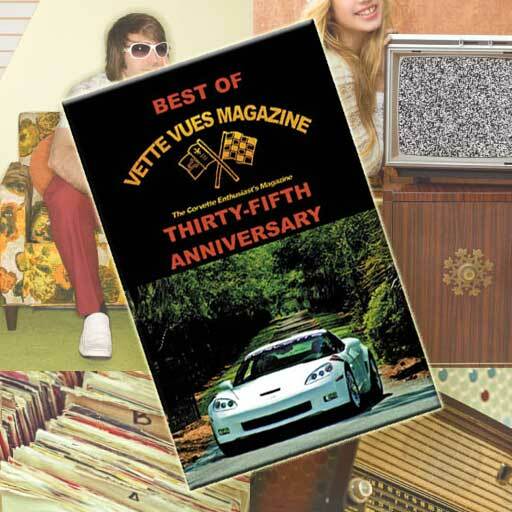 For this article, we are mainly interested in Hertz’s relationship with the Chevrolet brand in their advertising campaign and will feature some of Hertz Rental Vintage Ads with Chevys and Corvettes. 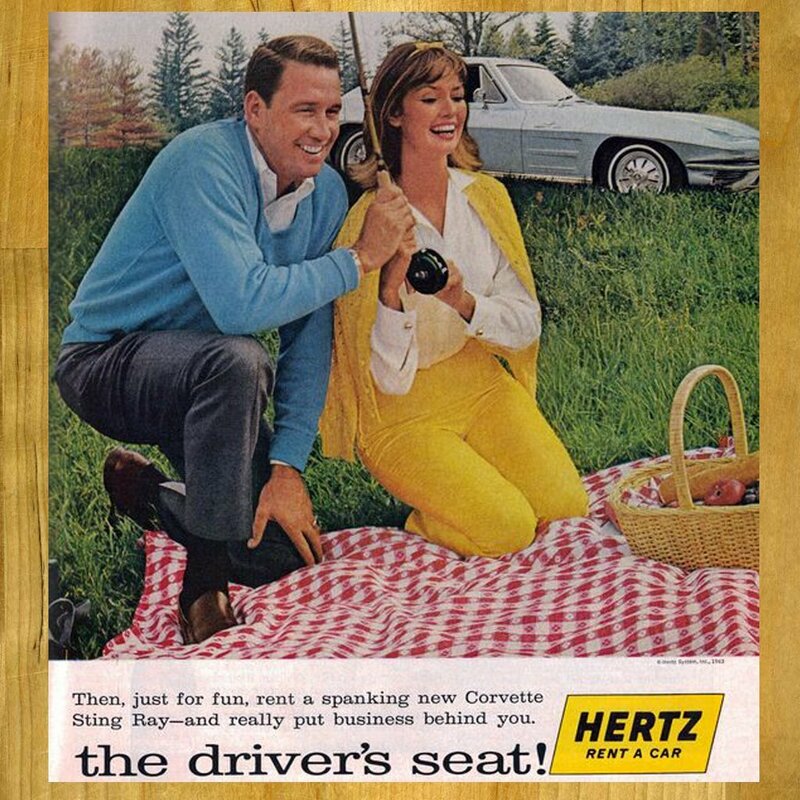 The Hertz Corporation is still an American car rental company. 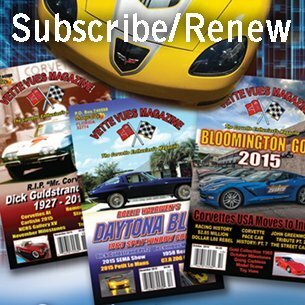 They are located in approximately 150 countries. 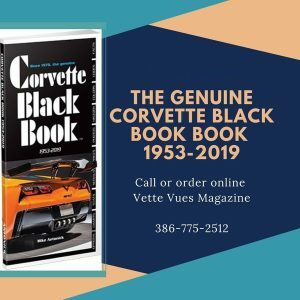 In 2013, they announced that their corporate headquarters would relocate from Park Ridge, New Jersey to Estero Florida, just outside of Fort Myers. 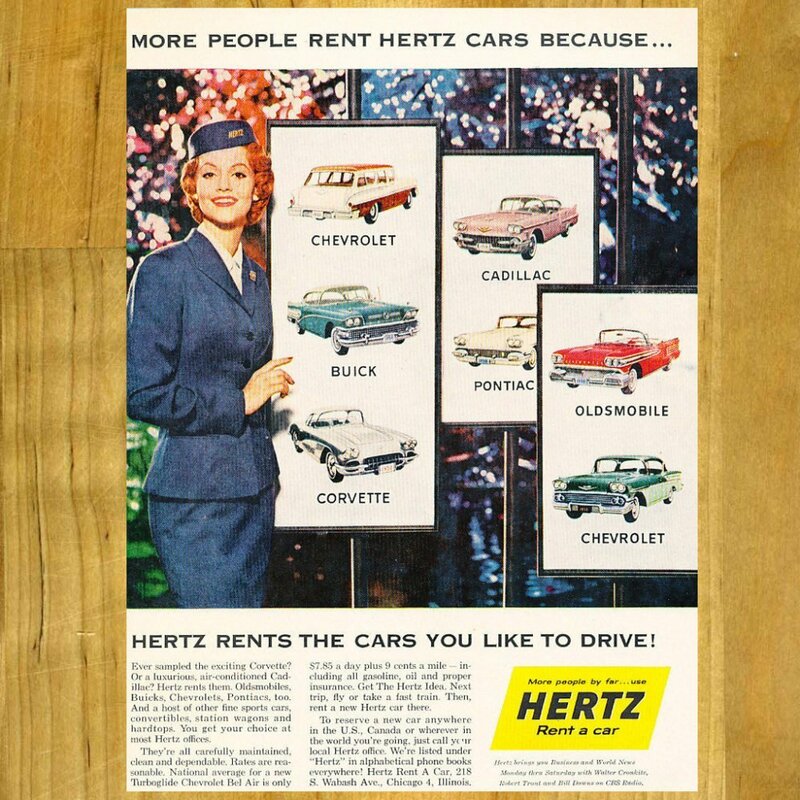 Let us look at some of the Chevrolet’s on the Hertz Rental Vintage Ads that have appeared over the years. 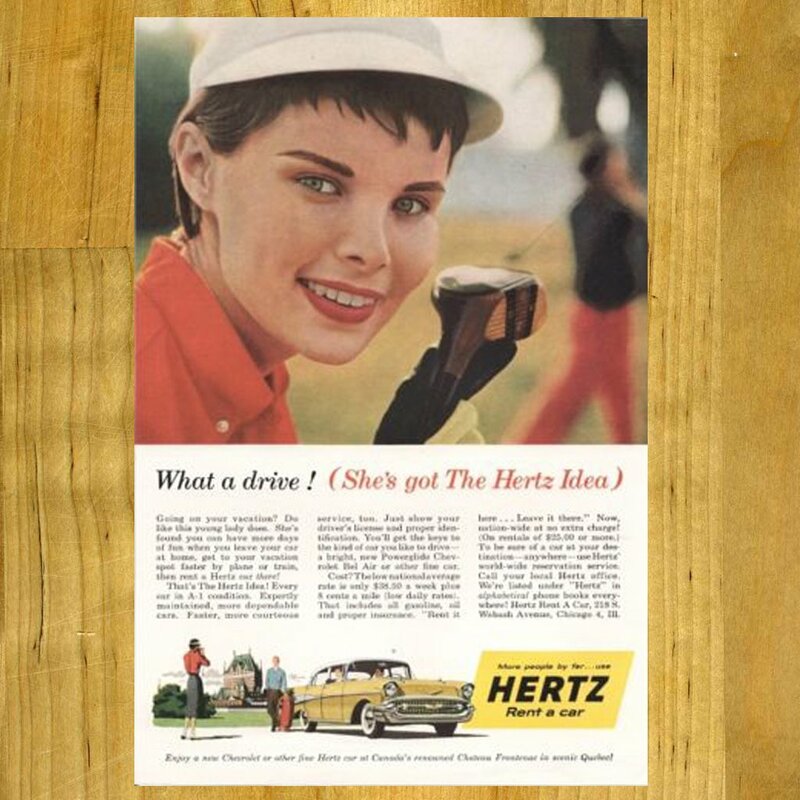 There are tons more…this is just a sampling. 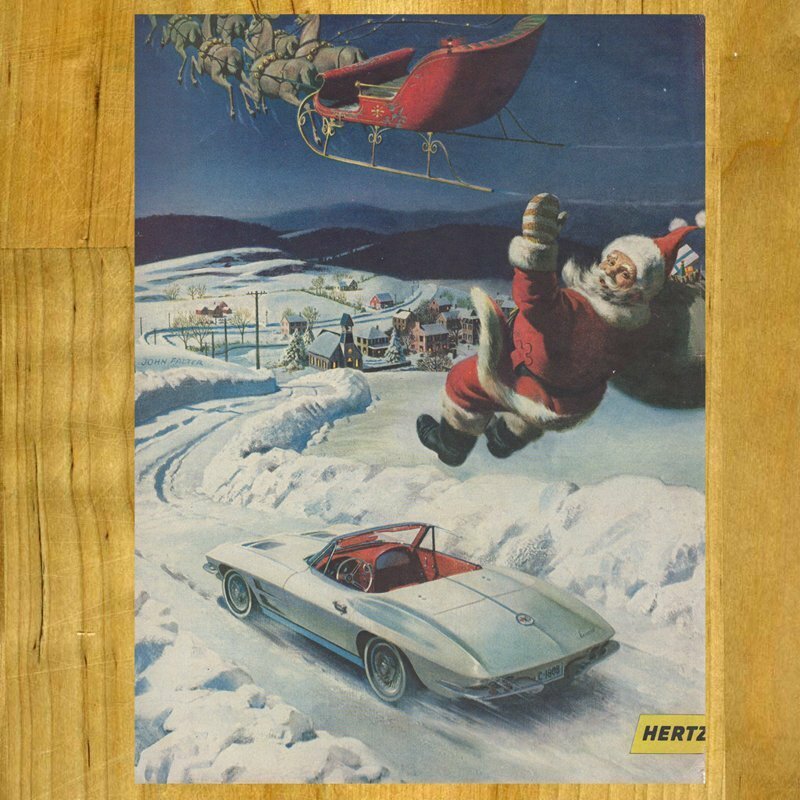 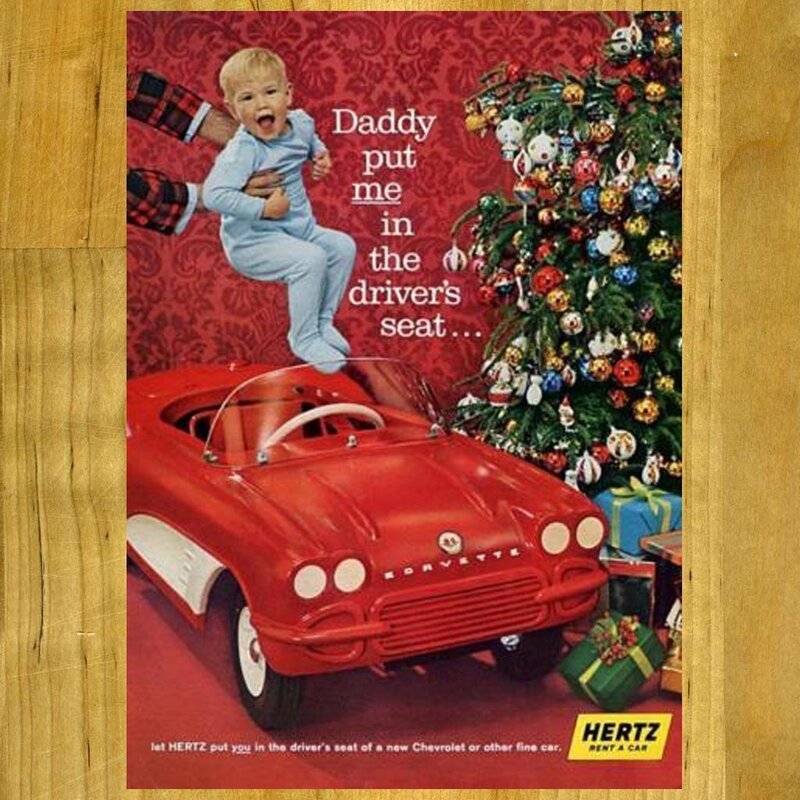 Here is a Vintage Hertz Ad with a Classic Chevrolet Corvette at Christmas time.